Looking for an SEMrush Free Trial? This SEMrush review covers it all. Sign up for your free SEMrush trial today & increase your blog traffic in 2019. If you are looking for a free SEMrush trial offer and review, you’ve come to the right place. Don’t know what SEMrush is? No worries. This SEMrush review covers the ins and outs of SEMrush, how it can help you to grow your blog, and more importantly; how it can help you to dramatically increase your blog traffic in 2019 and beyond. Keep reading, and then sign up for your free SEMrush trial today. SEMrush is an all in one marketing toolkit for digital marketing professionals. In short, SEMrush is a valuable tool that helps bloggers find profitable keywords for their blogs, AND lets them spy on their competitors. You can use this tool to optimize your website, and create content that will land you on the first page in search engine results. Get on the first page of search engine results and watch your blog traffic and income soar. There is a wealth of information included with an SEMrush subscription. You can choose to use one of their tools, or all of them. SEMrush also offers an information blog and numerous tutorials to help you learn how to use their tools. One of my favorite features is the site audit tool. This tool will check your site for any and all issues. 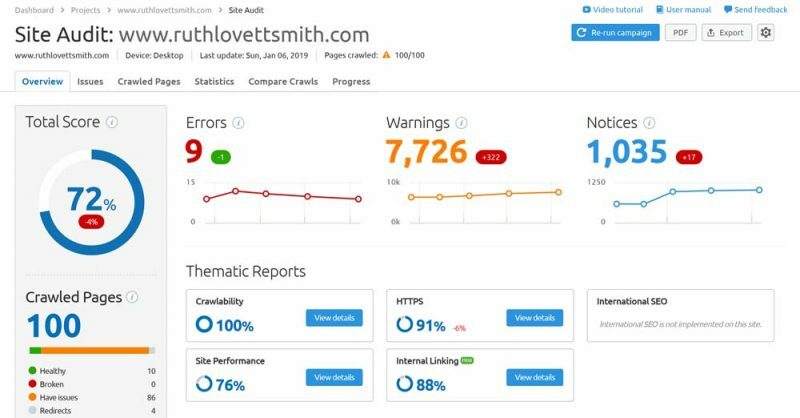 Using the site audit tool helps to keep your site healthy and up to date. You can see an example of my own site audit above. When I click on the Issues/Warnings tab I get a breakdown of all of my site’s issues, why they are problematic, and how to fix them. Issues might range from images that don’t have an alt attribute, to pages that don’t have a meta description, to uncompressed files and more. Fixing these issues will make for a healthier and faster loading site. Healthy and fast loading sites are something that search engines look at when ranking. I also like the backlink checker tool. This tool tells me who is linking to my site. The more backlinks you get, the better. Backlinks show search engines that people like your content and that you are considered an authority within your niche. As I mentioned above, SEMrush comes with a variety of exciting tools and information. Organic keywords the site ranks for, and what number it ranks at. Number of backlinks, and where the backlinks are coming from. You can use the above data to see how your own website is performing. Make improvements and see your site rank higher in search engine results. Also, you can use this data to see how your competitors’ websites are performing. For instance, you can track what keywords your competitors are raking for. By tracking your competitors’ keywords, you can build a list of NEW keywords that you can also rank for. SEO is an important part of blogging and ranking in search engines. Experts have said that Google uses over 200 factors to figure out how to rank posts and websites. No one knows each and every factor. However, some of them are things like page speed, secure sites (https), mobile friendly sites, quality backlinks, content quality and more. These are all things you have control over and can work on. One thing you can not control is your domain authority, page authority, domain score, and trust score. These are numbers that are determined by SEO tools like MOZ and SEMrush, and are based on numerous factors similar to how search engines rank sites. Are these numbers important? Yes and no. While there are many people that will tell you that your DA, PA, DS, and TS don’t matter to search engines, you’ll find that sites with higher scores tend to rank on the first page of Google search results. High scoring sites are seen as an authority within their niche. Now you may also see some low scoring sites on the first page of search engine results as well. This means that the search engine determined that content to be superior, regardless of the sites authority. Why? Because the author likely spent a lot of time optimizing that post. And you can do the same. I have a post on SEO tips that covers this in more detail. To increase blog traffic with SEMrush, it helps to know your blog’s Domain Score (DS) and Trust Score (TS). 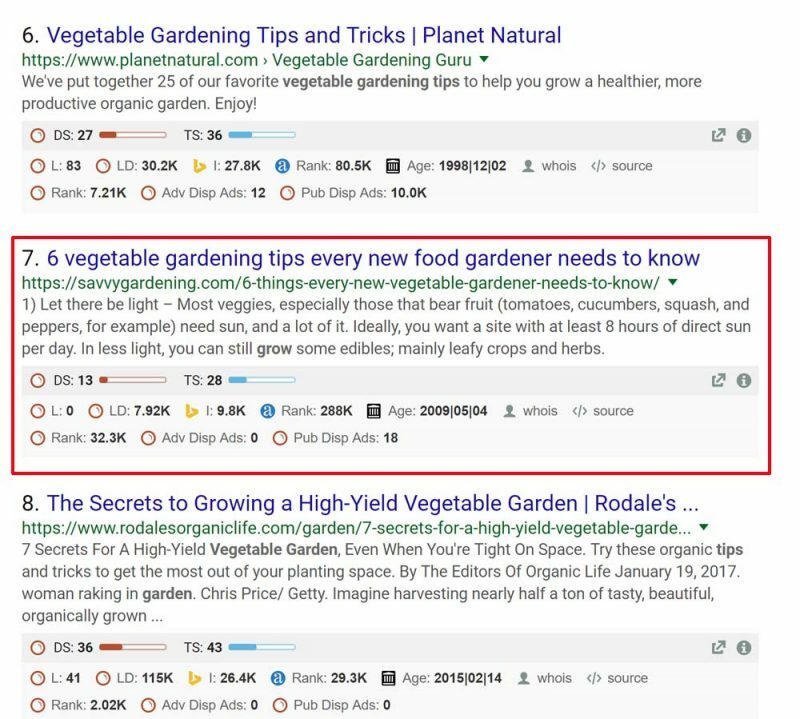 Say you run a gardening blog, and are looking to rank for gardening related keywords, it helps to have an equal to or higher DS and TS to outrank your competitors, for the same keywords. Therefore, you need to know your competitors’ domain scores and trust scores as well. One way to determine your competitors’ scores is with SEOquake. SEOquake is a free browser extension from SEMrush. It gives you the DS and TS of sites you are searching. Furthermore, it gives you backlink information as well as website age information, and so much more. It’s quick to download and easy to use. Simply download, and then search for your website (or any other website) you want information on. You can also search keywords, to see which sites are ranking for those keywords. Click on this link to download SEOquake. In the above image you can see the search results for the keyword “Gardening Tips”. The Huffington Post ranks first with a DS of 66 and a TS of 72. The next results have lower DS and TS scores. Unless you have a well established site, you are not going to rank on the first page for a keyword like gardening tips. Therefore, all of the hard work you put into your “gardening tips” blog post is for nothing. At least from a search engine perspective. And herein lies the problem. Most bloggers are writing blog posts with keywords that they will NEVER be able to rank for. Let’s be real for a moment. 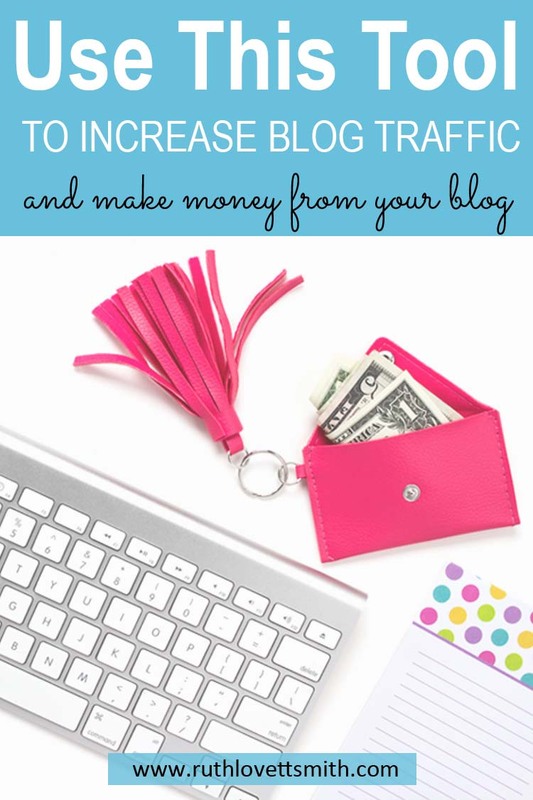 If you are trying to make money with your blog, you need search engines to drive traffic to your site. Therefore, you need to rank for your keywords. Consequently, this is where SEMrush comes in. Now that you know your DS and TS, you can use SEMrush to search for keywords that you CAN rank for. You can go about this two ways. You can enter keywords into SEMrush and it will give you a list of similar keywords. In the image above, you can see that the keyword “gardening tips” has an approximate monthly search result of 3,600. 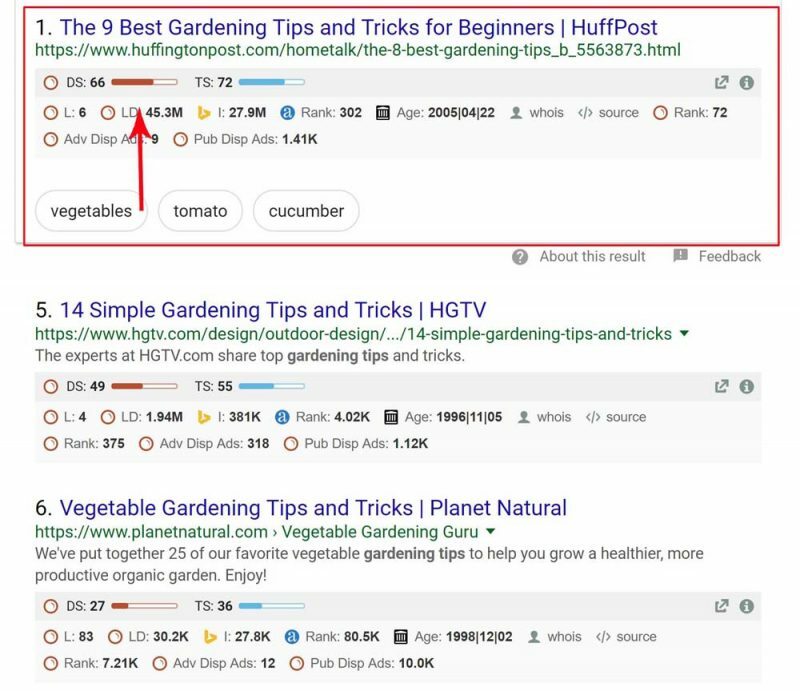 However, there are relevant keywords, with lower monthly searches, that you might be able to rank for, like “vegetable gardening tips”. Therefore, we will now search for “vegetable gardening tips” to see which sites rank for that keyword. As a result, we see that savvygardening.com has a blog post on the first page of the search engine results. We also see that the site has a DS of 13 and a TS of 28. Much more reasonable. If you have a similar DS and TS, there is a good chance that you will be able to rank and/or outrank this post. If you have a lower DS and TS, but write a highly search engine optimized post; there is a great chance you will still be able to outrank this post. The second way to use SEMrush, to increase your blog traffic, is to enter websites into the tool. Here we can see what keywords savvygardening.com ranks for. AND what position the website is getting in the search engine results. Look at these as potential new keywords to rank for. Now use SEMrush to look up numerous sites in your niche, and you’ll find yourself with hundreds of new keywords. If you write stellar content, utilizing those keywords, you should be able to outrank your competition. Above all, outrank your competition, land on the first page in search engine results, and watch as the organic traffic rolls in. Professional Tip: If you are a new blogger and have a low DS and TS, consider keywords that have lower monthly searches. If you write a lot of content, as in numerous posts with different keywords, those monthly searches will start to add up. Finally, just keep in mind that if helps if your DS and TS numbers are similar to the sites you are trying to outrank. AND that you need to SEO your posts using the relevant keyword. I highly encourage you to give SEMrush a try. I’ve personally used the above techniques with great success. The SEMrush Free Trial is good for seven days. This will give you enough time to test out the numerous tools, and find yourself some new keywords that you can ACTUALLY rank for. Click on SEMrush Offer for more information. Professional Tip: If you find that you love SEMrush, but the monthly fee is not in your budget; consider subscribing for one month and then canceling. Many new bloggers are on a tight budget, but have found that they can do months of keyword research by subscribing for one month. Did you find this SEMrush Free Trial and Review helpful? If you did, please consider sharing it by using the social sharing buttons below. I didn’t know about this tool! SEO is still a challenge for me, so I’ll be signing up for the free trial this weekend. I love that SEMrush will give me the alternate keyword ideas so I will have a better chance of ranking. Angel – so glad you found my SEMrush post. I’m sure you’ll love using the tool. There are so many great features! Let me know how it works out for you. I couldn’t agree more with your recommendation of SEMrush, and I’m almost embarrassed at the stage I was at before using it. I used to spend zero time on topic research, paid no attention to keywords and whether my content had any chance of ranking, and I didn’t do any backlink research to see which ones were harming my site and which links I needed more of to boost my site’s authority. Oops! I guess everything has a learning curve, but I’m thankful that SEMrush has helped reduce mine considerably by helping me fix each of these mistakes! Jonathan – thanks for stopping by and commenting. I don’t remember when I first stumbled upon SEMRush. However, when I did it felt as though I struck gold. It is such a great resource. Not only for keywords, but also to determine backlinks to your site etc. as you mentioned. I’m so glad you find SEMRush useful as well! 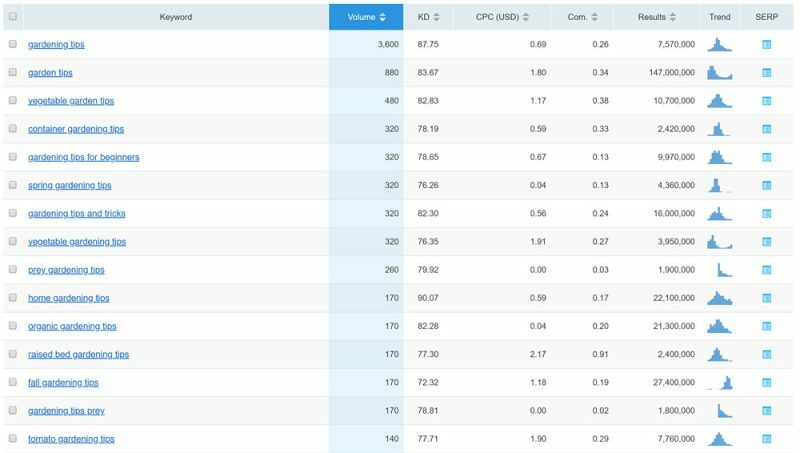 This is really a helpful article about semrush a best keyword research tool. Thanks Kundan. 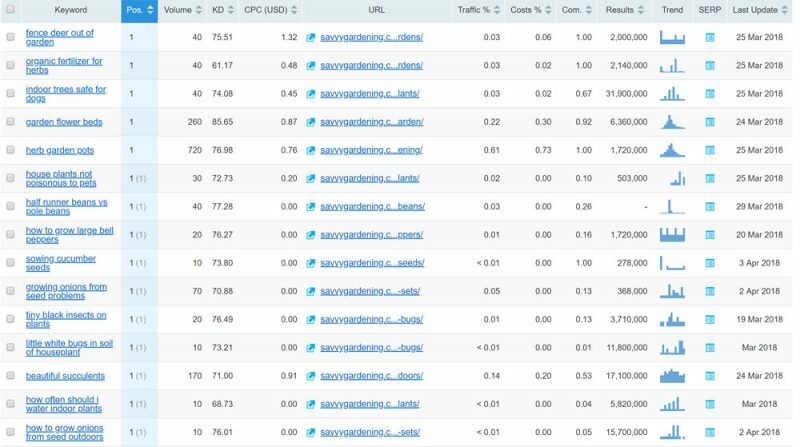 SEMrush is definitely one of my favorite keyword research tools. Glad you liked my post.